You need to take into account the company’s internet marketing resources and business goals, before you plan an online marketing strategy. 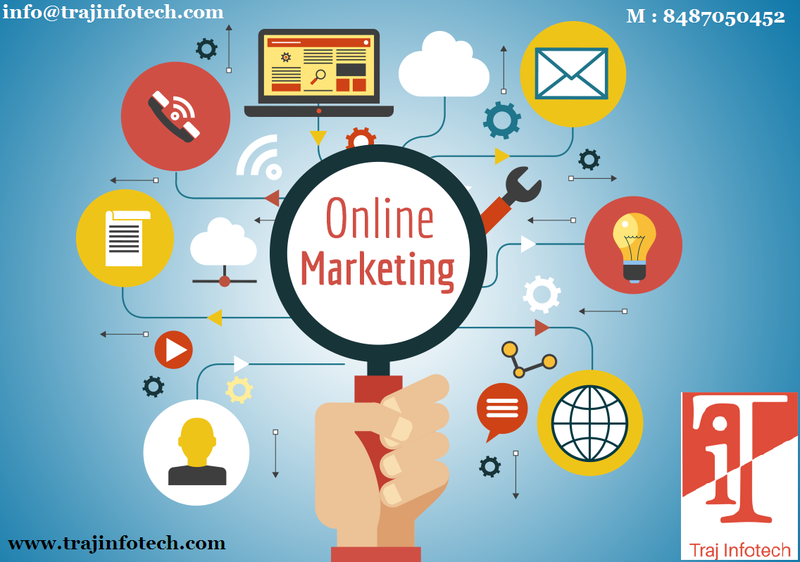 Let’s see the various online marketing strategies that can lead your company towards success. Podcast – It helps to connect with your customers through your voice, if made interesting, you can get the same visitors. Social media – Make your presence felt, on all social media channels by sharing, posting content and interacting with the audience. Video – A video is very important to drive traffic towards your website. Free download – You can provide your audience with free ebook to show your expertise and also to gather email addresses. Case studies – You should post case studies, to show your work. Infographics – It is quick to share, understandable, useful and attractive. Keywords – Need to research the keywords that can help people find your website. Influencers – You can invite a guest blogger and get a blogger to give their review on your product. Understand your competitors – Important to understand their positive and negative points. Negative response – Never ignore or delete any negative response or comment, you should reply calmly and offer a solution to the problem. Listed locally – Ensure your company is listed locally. Strategy - The best way, to make sure Online Marketing works, is by creating a perfect strategy, keeping the company’s goals in mind. Analytics – It is good to understand what is working and what is not working. Update blog and social media – You should update your blogs and Facebook page regularly. Marketing to clients – The purpose of Digital Marketing Service is for clients, if you’re not able to see results, then something is not right. Contact – All pages of your website should have your contact number. Mobile friendly - Most people use internet on their smart phone, so, make the website mobile friendly. Partnership – Vital to partner with other companies to promote each other. Testimonials – Put up customer testimonials on your website. Domain name – Always keep it simple and short. Images – This can grab attention and build interest. Marketing agency – You should hire an Digital Marketing Company, to help you in designing and implementing the best strategy.